Pray along with Louie the Lamb Lil' Prayer Buddy! He recites the Our Father, Hail Mary and Glory Be Catholic prayers when you squeeze his belly. A favorite gift for Baptisms and baby showers, Louie features whimsical patterns, cheerful colors and a variety of soft textures to fascinate and comfort both boys and girls. Grandparents, godparents and parents love how Louie teaches important Catholic prayers from early on. And the child's love for Louie grows as he becomes a treasured part of the nighttime comfort routine. 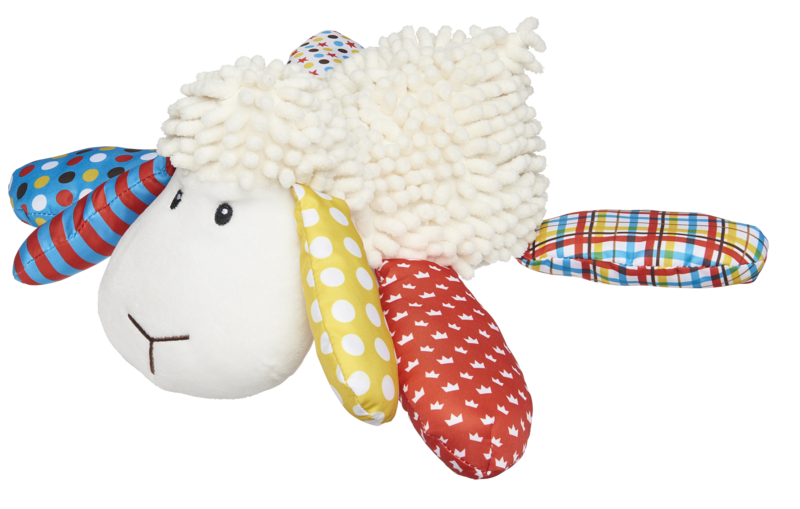 Louie the Lamb's newly designed and updated sound box works with a gentle squeeze, features an on/off override switch and replaceable batteries, and can be removed for washing.